Butterfly species are significant indicators for helping us understand the health of the environment and its ecosystems – that’s because butterflies respond rapidly to changes in habitat and climate. By recognising how butterfly populations are faring we can better appreciate how the wider environment is doing. Butterflies and moths (Lepidoptera) also play a vital function as pollinators, as part of the food chain, and as a particularly beautiful and delicate facet of the natural world. In the North York Moors there are widespread generalist butterfly species such as Small Tortoiseshell Aglais urticae and Meadow Brown Maniola jurtina, but we also have specialist butterflies such as the Duke of Burgundy Hamearis lucina and the Pearl Bordered Fritillary Boloria euphrosyne (note this is a different species to the Small Pearl Bordered Fritillary Boloria selene which is currently more widespread and also found in the North York Moors). Both the Duke of Burgundy and the Pearl Bordered Fritillary require very specific habitat to survive. Habitat specialist butterflies are particularly sensitive to change. 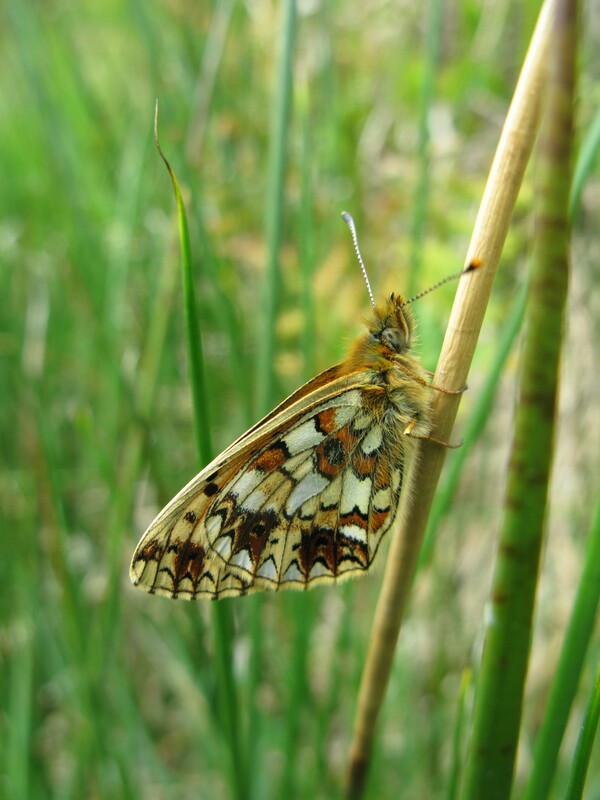 The Pearl Bordered Fritillary has suffered substantial declines in recent decades and so is now a UK Biodiversity Action Plan Priority Species. Its caterpillars feed upon violets, most often Common Dog Violets, and crucially the violets must be in a hot microclimate in order for the caterpillars to develop successfully over winter. Bracken litter is ideal at creating such a microclimate and so conservation of this species requires grassy habitat where bracken, scrub and violets are all present. 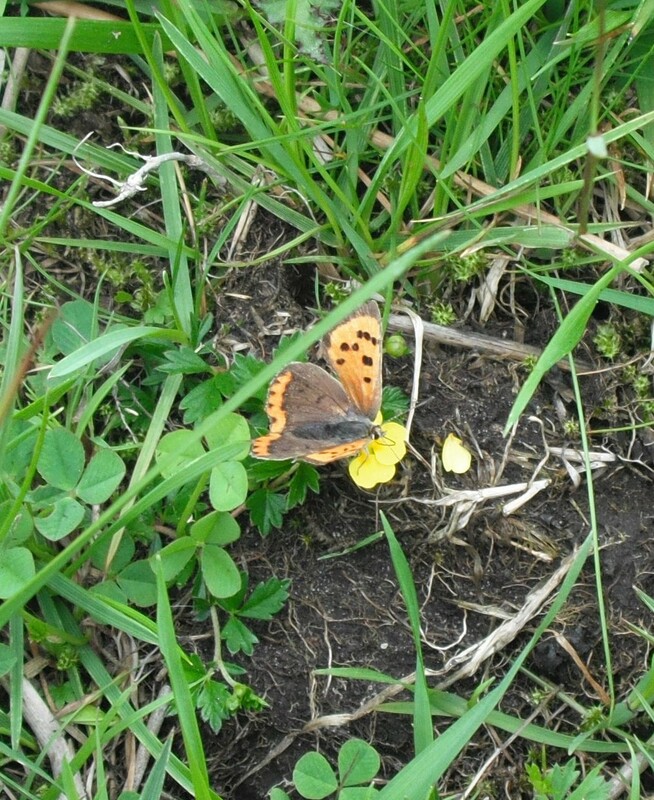 In the North York Moors this butterfly species is found in only one location. 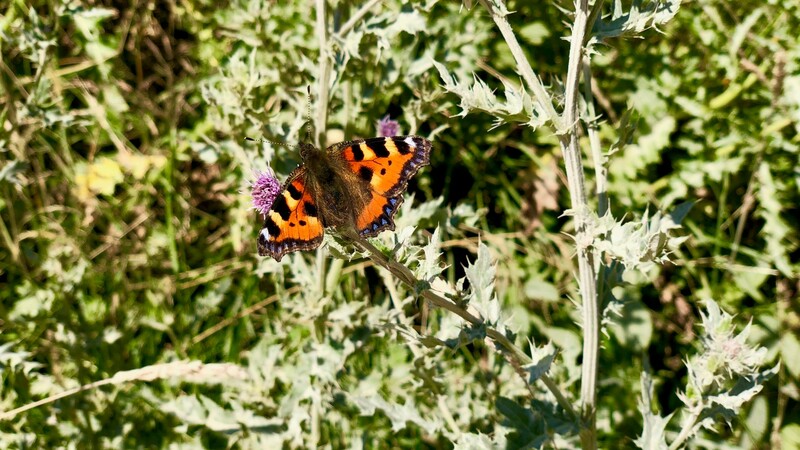 The Small Tortoiseshell, as a generalist, can cope with many different habitats but most often where nettles grow in abundance as the caterpillars feed upon the common and small nettle. This butterfly is one of our most widespread species, often glimpsed in gardens, but there is concern for a decline in species numbers recently due to the sensitivity of all butterflies to weather and climate. Fluctuations in UK butterfly populations are common between years due to the different weather conditions through spring and summer. In 2017, the UK Butterfly Monitoring Scheme (UKBMS) showed the seventh worst year ever in UKBMS recording because a cold spring and wet summer causing butterfly species to struggle. It is expected that butterfly numbers should do better in 2018 because of the mainly dry summer, so far. For more widespread generalist butterflies the reasons for declines are not established yet. 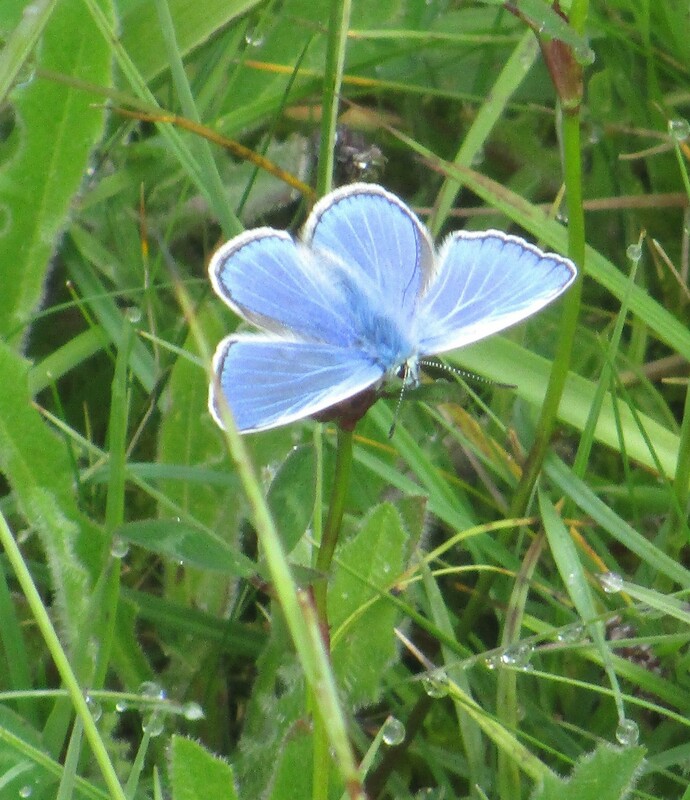 Suggested reasons for declines in butterflies include more extreme climatic events, the ongoing loss and fragmentation of meadows, neglect of previously coppiced woodland and the increased use of pesticides. The paving over of gardens is also linked to declines particularly in towns and cities. Certain lepidopterans, like the Painted Lady butterfly, migrate to follow the sun which is so important to butterflies. The movement and extents of particular species are now altering due to climate changes. Within Britain as the climate warms the extents of particular lepidoptera species are moving north where habitats and habitat connectivity allow. 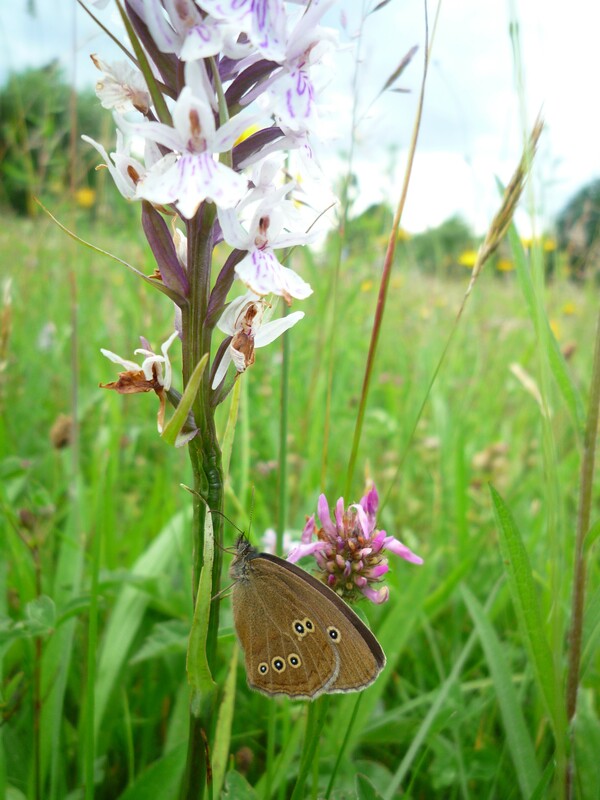 Unimproved grasslands, including meadows, support more species of butterflies than any other single habitat in Britain. Grassland with low grazing or no grazing in the summer months allows wildflowers to flower and, very importantly, to set seed. A balance between grassland and natural scrub is helpful – scrub can provide shelter, respite, breeding areas and also a place for hibernation for butterflies. 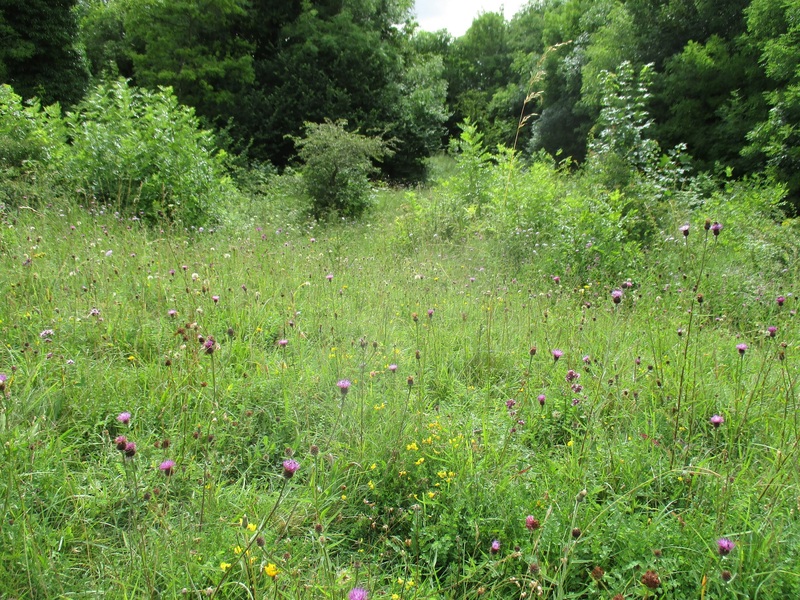 By managing such sites appropriately, unimproved grassland habitats can help sustain surviving butterflies. But just like for bees, if you’ve got a garden with plants, you can help butterflies too. There are butterfly friendly nectar rich plants such as Buddleia, Lavender, Marjoram and Honeysuckle , and leaving fallen fruit to decay under your fruit trees provides sweet fruit juice for butterflies. If you’re lucky you might get to see a butterfly using its extraordinary tongue-like proboscis to collect the juice. 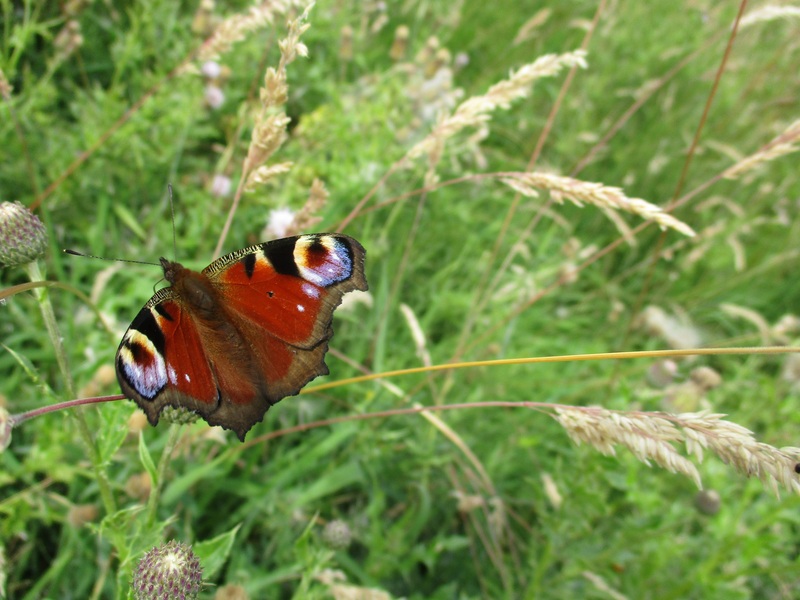 Butterfly Conservation‘s annual butterfly count runs from 20 July to 12 August this year. The nationwide survey has become the largest butterfly survey in the world. If you’d like to get involved visit http://www.bigbutterflycount.org/ which has lots of useful information and resources to help you. There are three native UK snake species*. Although Adders and Slow worms are common in the North York Moors, Grass snakes (Natrix natrix) aren’t. However they are found at at least one known site on the western edge of the National Park which makes them locally rare. They like rough grassland near to water and are known to swim (they’re also sometimes called Water snakes). Neither Grass snakes nor Slow worms are venomous, but Adders are. All native snake species are protected. Please leave them alone and they should leave you alone. *Actually, there are now four. 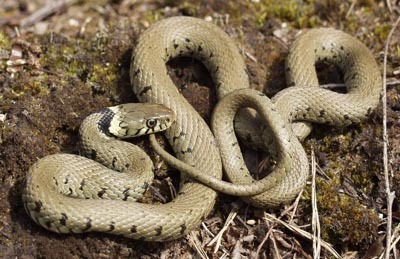 The barred grass snake (Natrix helvetica) is now recognised as a species in its own right, with the Natrix natrix (as found occasionally in the North York Moors) now known as the eastern grass snake. What is a network? In ecological terms it is basically the infrastructure through which species and habitats survive and flourish. In our 2012 Management Plan we identified the key ecological networks that we wanted to consolidate and enhance. Following the Lawton Principles (More, Bigger, Better and Joined) we’re working to ensure these networks and the associated habitats and species not only survive but become more resilient and sustainable into the future. So what does a network actually look like? When we talk about networks and connectivity (which we do quite a lot on this Blog) we mean all sorts of things corridors, connections, linkages and stepping stones which whilst contributing to the same ecological goal, might look very different on the ground. 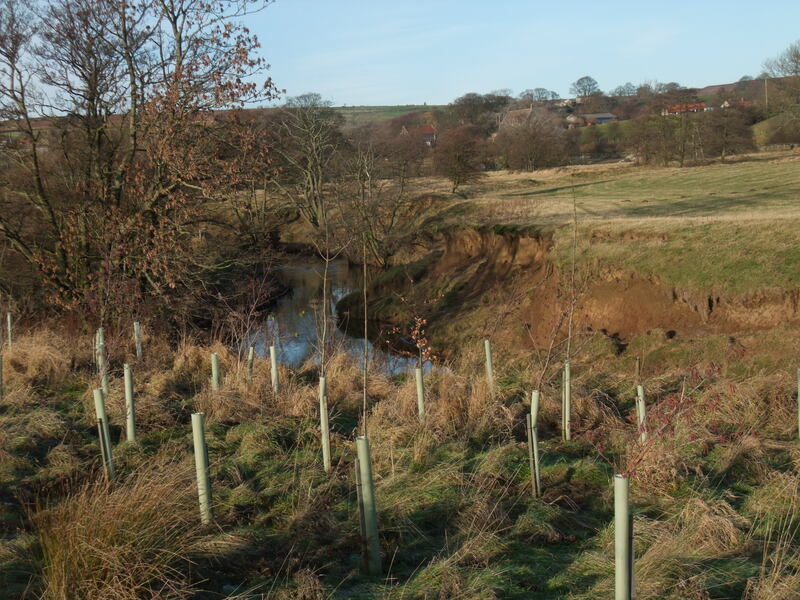 For example, the Rivers Rye and Esk are important riparian linear networks, winding their way through other interconnected patchwork woodland and farmland networks. Some networks might be important for their great trophic diversity whilst others are essential for the survival of a particularly rare species. Promoting one particular network over another may impact on different species in different ways. For example, some farmland waders such as lapwing tend to nest in open fields with a low or short structure and areas of bare ground. One posited reason for preferring these open and large fields is that Lapwing want a clear line of site to any potential danger approaching their nests. 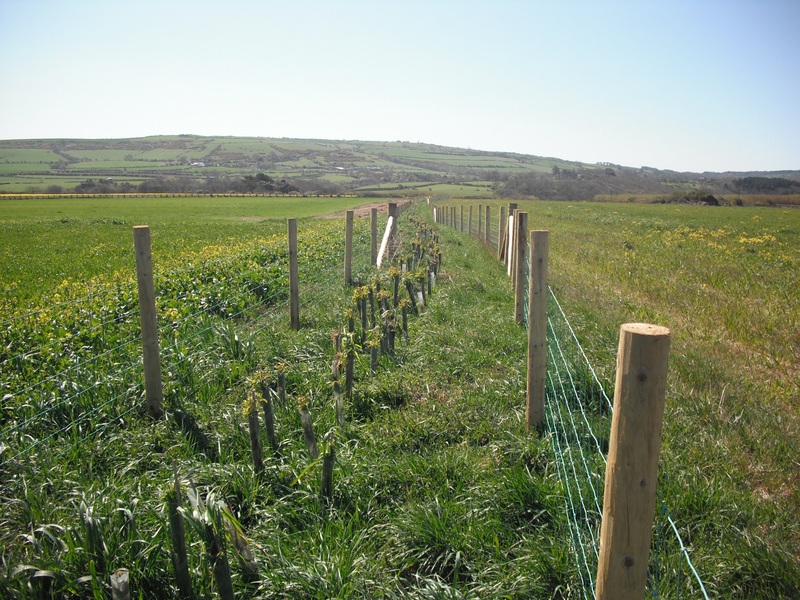 So then planting hedgerows, usually a positive way to increase network connectivity, through good lapwing territory may negatively impact on this wader species. Similarly, native broadleaf woodland planting is usually something to be encouraged but not if it would break up a precious species-rich grassland network and adversely impact upon the important species that rely on it. 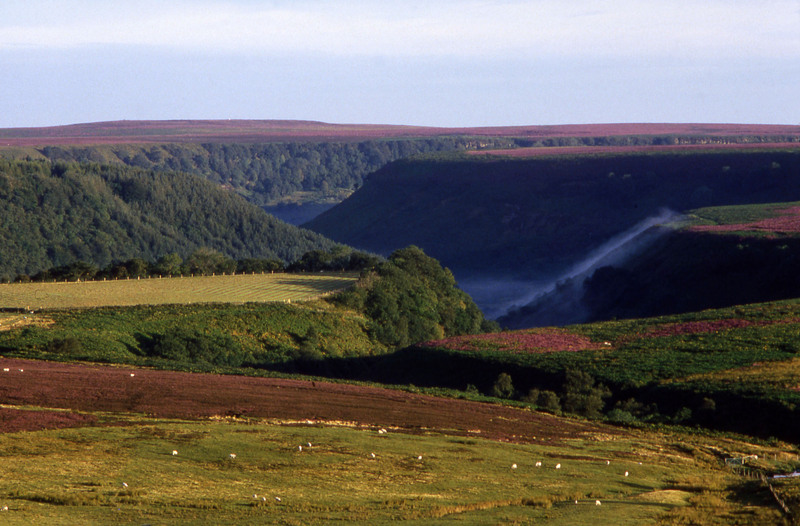 The North York Moors hosts a diversity of plants, animals and habitats. 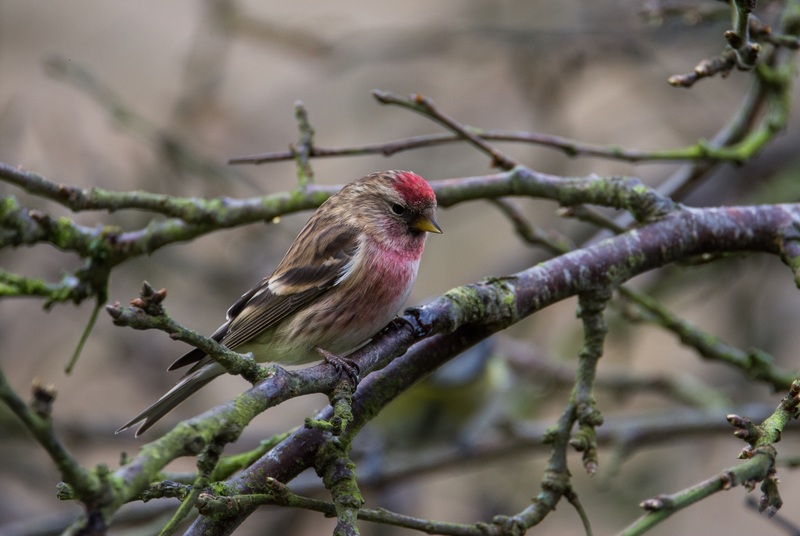 The challenge we’re grappling with is a putting together a jigsaw of different habitats and species; connecting up networks at varying spatial levels all within a framework of unpredictable future land use and climate change. It’s as difficult as it sounds. 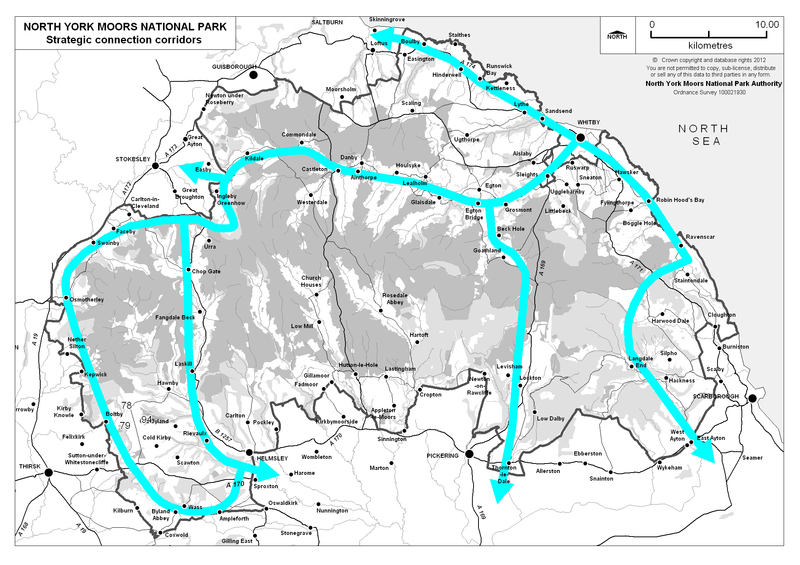 And talking of different types of network, the National Park Authority is keen to foster a network of land managers in the North York Moors so we can share information and opportunities, and enable the North York Moors area to be a sounding board for new ideas in relation to land management and land use. 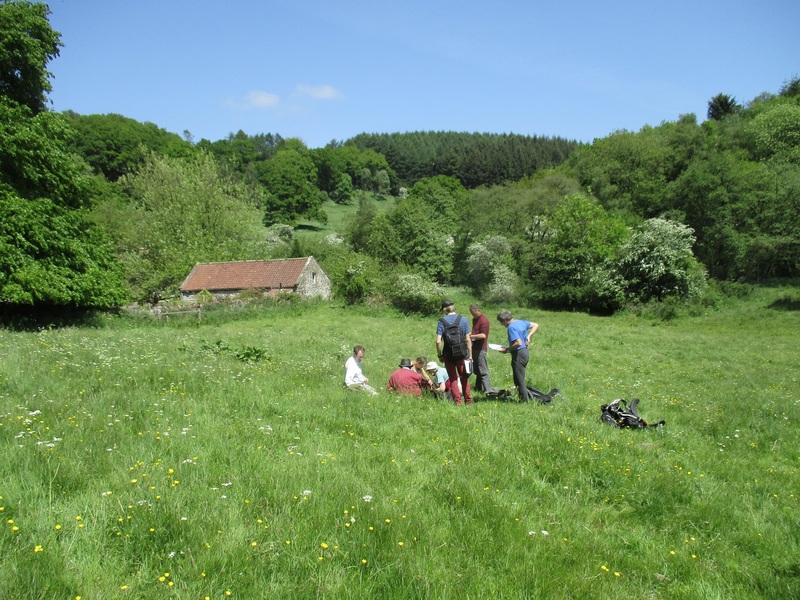 If you are a local land manager and you’d be interesting in joining in – please contact us. Newtondale is a narrow valley cutting through the southern central moorland. It is the narrowness and steepness of Newtondale and its resulting inaccessibility which makes this dale unusual in the North York Moors which is renowned for its open landscapes. 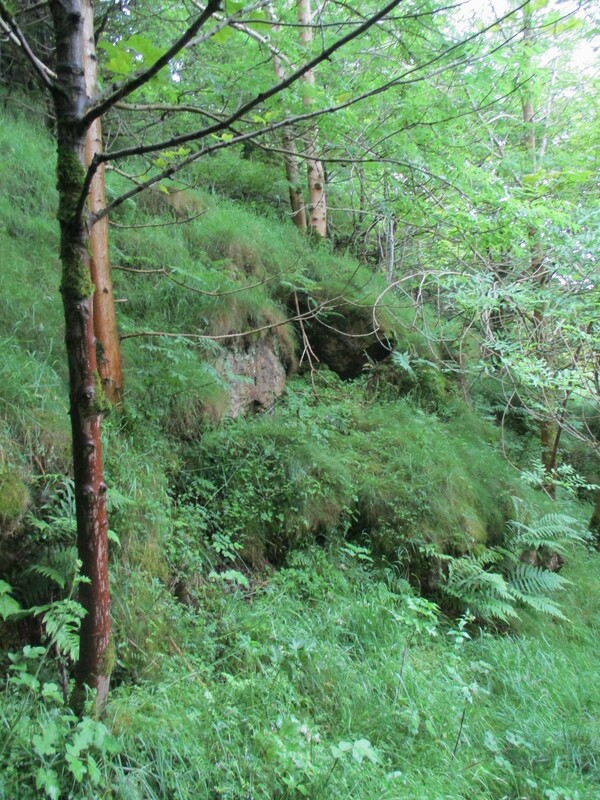 It contains important SSSI (Site of Special Scientific Interest) successional habitats including wet woodland, flush communities and species rich grassland. Newtondale was formed in the last Ice Age at least partly as subaerial overflow from the glacial lake in Eskdale to the north of the higher ground drained south into the glacial lake in the Vale of Pickering. The two lakes formed from meltwaters dammed in the west by the ice sheet in the Vale of York and in the east by the massive North Sea ice sheet. Recently it has been suggested that Newtondale existed already at this time and the overflow scoured and deepened an already existing feature. This naturally formed cutting was exploited by the always practical George Stephenson when he built the Pickering to Whitby railway (opened 1836). The railway connected up the northern and southern parts of the North York Moors divided by the large central area of high moorland. For centuries the only connections had being inhospitable and difficult trods and tracks. The railway line is still used – by the North Yorkshire Moors Railway, and Newtondale has its own request stop. Nicholas Postgate was born in or near to Egton Bridge in Eskdale at the end of the 16th century. He was a Catholic. Although Anglican Protestantism was the official state religion by this time, there was much insecurity and uncertainty and an international element was attached to Roman Catholicism that meant not following the protestant religion as prescribed by the state implied potential treachery. In the first half of the 17th century refusing to attend Anglican Protestant services was illegal, this recusancy marked people out as non-compliant and dangerous . Nicholas Postgate decided to be an active Catholic when passivity was definitely safer. He went to a seminary in France where he was ordained a priest and returned to England where after ministering to catholic gentry families he finally came back to Eskdale in the 1660s to practice his faith and serve persevering Catholics in the wider North York Moors travelling from house to house. The situation of the North York Moors, on the edge and out of the way, has allowed non conformist religions to survive and flourish over the centuries. Father Postgate survived the Civil War and Commonwealth periods in England, but the Restoration re-ignited the fear of Catholicism which blew up into the Popish Plot in 1678. The plot didn’t need much substance, it suggested that internationalist Catholics were conspiring to murder the King and destroy the State just as many Protestants had long feared and gave credence to some not very latent animosity towards Catholicism and Catholics. There followed a short lived period of persecution and settling of scores. Father Postgate was arrested in Littlebeck near Whitby, reportedly carrying out a christening. He was charged with being a Catholic priest in England and therefore causing Catholicism to spread ‘of purpose…not only to withdraw … subjects from their due obedience … also to stir up and move sedition, rebellion and open hostility … to the great endangering … and to the utter ruin, desolation and overthrow of the whole realm’ (Act Against Jesuits and Seminarists, 1585). In line with the punishment for high treason as the highest crime imaginable, Father Postgate was hanged, drawn (disembowelled) and quartered at York on 7 August, 1679. He was 83. Nicholas Postgate has been beautified by the Catholic Church as one of 85 English Martyrs. His beatification means he is known as the Blessed Nicholas Postgate, intercessional prayers can be addressed to him, and his image and relics are venerated. Reportedly a lock of his white hair is kept in a reliquary at Egton Bridge, a jawbone at English Martyrs Church in York, and a hand with a blood soaked cloth at Ampleforth Abbey. There is an annual local rally in honour of the Blessed Nicholas Postgate, held alternatively in Egton Bridge (where he was born) and Ugthorpe (where he lived up to his death). A lot of people get the name wrong. 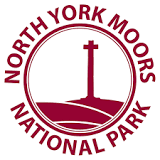 The North York Moors means the moors north of the city of York. There are other areas of North Yorkshire moors and moorland, but only one North (of) York Moors. 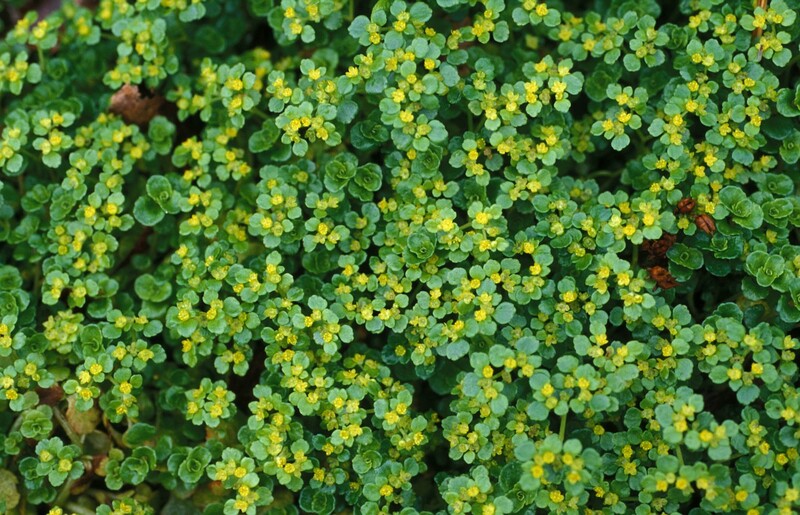 Opposite-leaved golden saxifrage is a creeping perennial plant which can form extensive mats in damp, shady areas. So look out for it alongside becks, flushes and springs. It produces tiny golden flowers (3 to 5 mm) from February through to July. 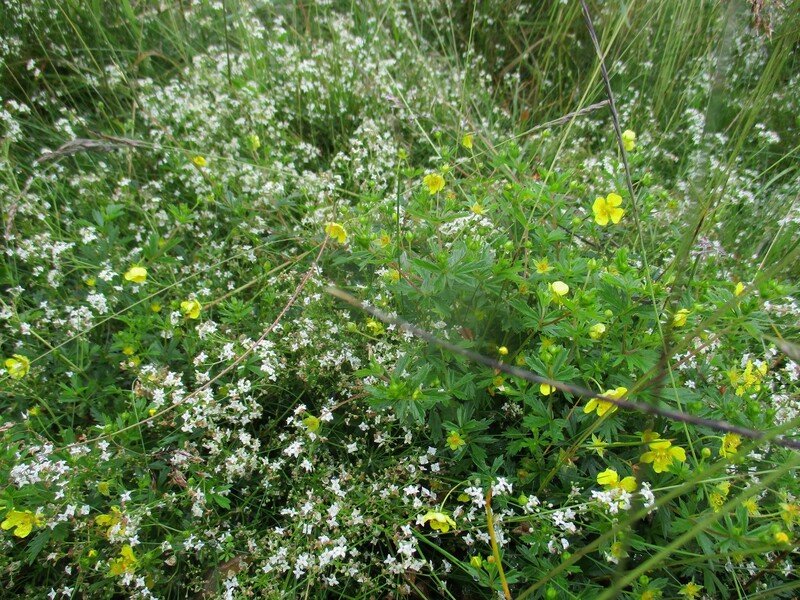 The plant has square-stems with directly opposite pairs of leaves. To make identification more complicated there is also an Alternate-leaved golden saxifrage (Chrysosplenium alternifolium) which shares the same genus. 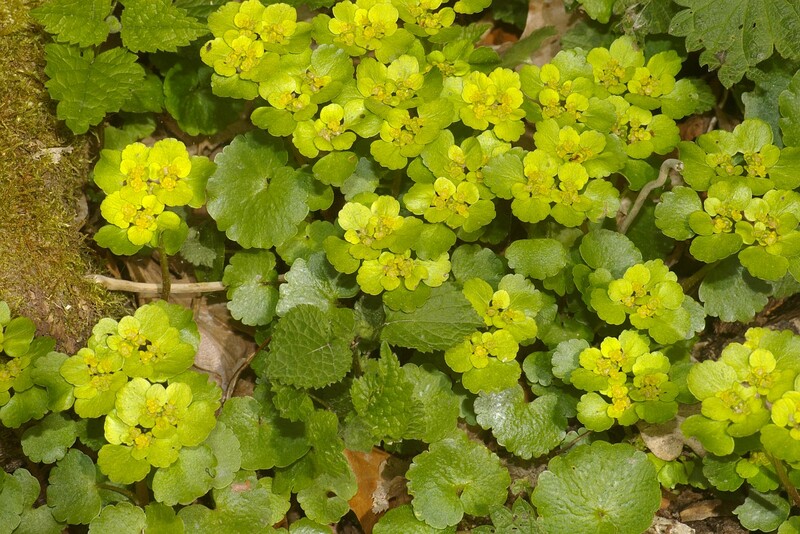 This species is very similar to the Opposite-leaved golden saxifrage except, as the name suggests, the leaves are alternate rather than opposite, and on triangular shaped stems. Its flowers can also be a bit bigger and brighter. The Alternate-leaved golden saxifrage is less common than its Opposite-leaved relative and it prefers a more limey habitat, but occasionally the different species can be found growing together. In the North York Moors 19th and early 20th century farms and a lot of village houses had their own small orchards (still visible on Ordnance Survey historic mapping). Orchard fruit and other soft fruit provided part of a multi source income to people living hand to mouth and making the most of what they had. The fruit season ran from July through to winter – starting with gooseberries, then red and black currants and raspberries, then plums and finishing with apples and pears. The fruit wasn’t just sold at local markets, fruit could be sold on and because of the railways could end up in towns like Scarborough or end up in jam factories in Liverpool and Grimsby, or at the Rowntree’s factory in York to make jelly. Apple and pear trees, as well as other tree species, are susceptible to canker (fungus). To counter this people used to whitewash orchard tree trunks with lime and spread lime on the orchard floor. Lime is still used as a fungicide. The loss of orchards since WWII has been a major change in the landscape, biodiversity and culture of the North York Moors. An orthostat is a vertical ‘upright’ set stone. If its old enough i.e. prehistoric, it is likely to be called a standing stone. Less dramatic orthostats can also be found in drystone walls where farmers have made use of the stones to hand. 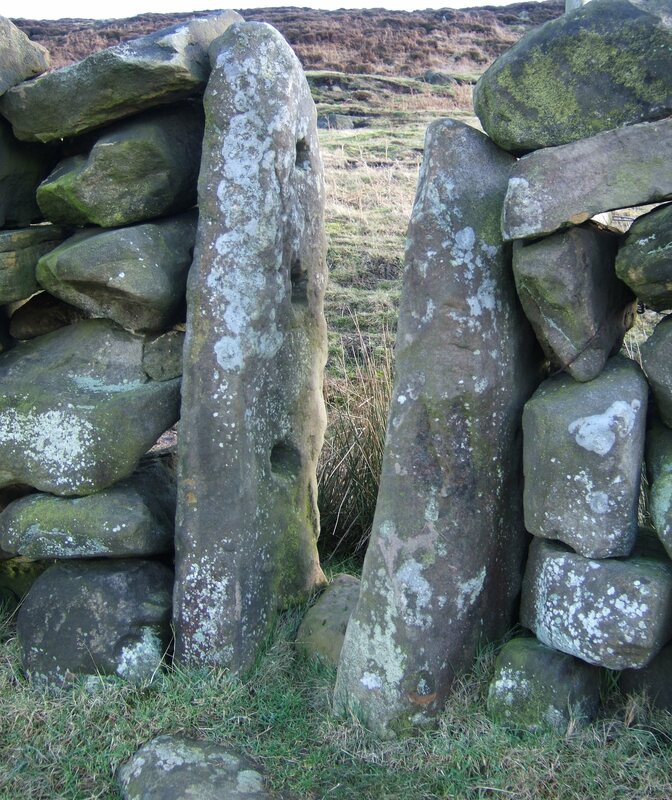 Big stones have been reused over time and set vertically into the ground amongst the horizontally laid smaller stones more commonly found in drystone walls. Orthostats are also very useful within a wall as gate posts or as the edges of a sheep creep (to allow sheep but no other stock to rove) providing added strength and structure. Orthostatic walling is rare enough here that where it does occur the walls are often recorded on the NYM Historic Environment Record. Grasslands are important habitats in the North York Moors supporting a wide range of plants and wildlife. They’re habitats that have suffered severe declines all over England in the past decades. Therefore conserving, restoring, creating linked grassland habitats is one of the key focuses of our Habitat Connectivity initiative. 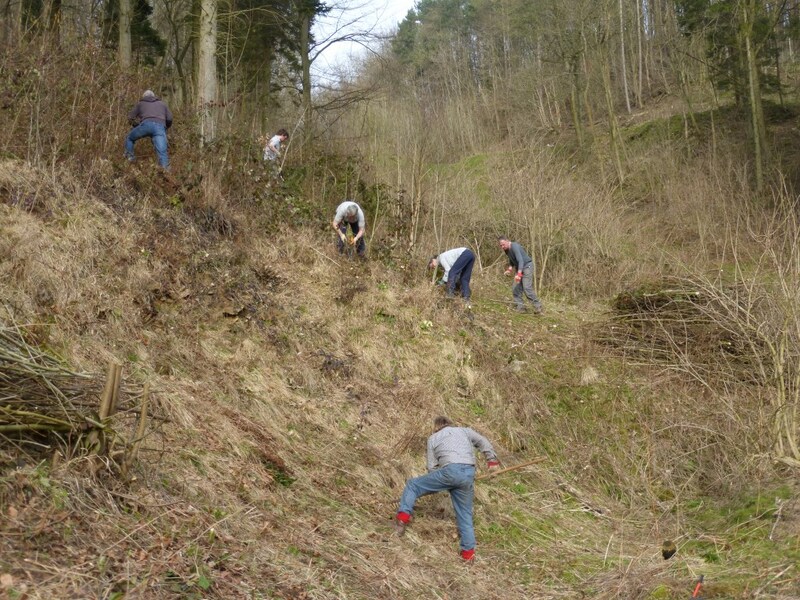 National Park Volunteers carry out regular tasks like scrub control in order to maintain and restore grassland sites. But volunteers are also essential when it comes to monitoring our grassland sites. 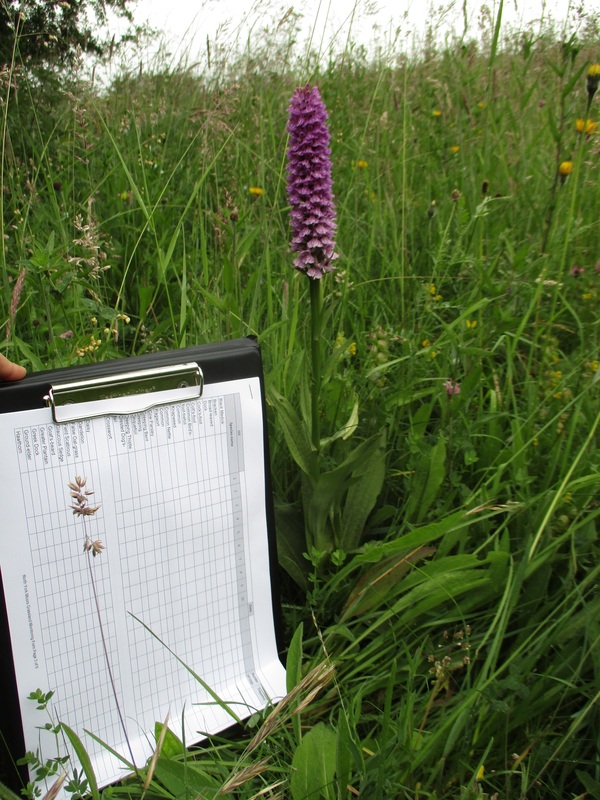 Botanical monitoring is a key tool to ensure that the prescribed management is having a positive effect on the site, and the information collected through the annual monitoring process ensures management can be tailored to each site to help ensure each is in the best condition they can be or are at least moving in the right direction. Repeat annual monitoring means changes, good or bad, can be quickly identified. Our Linking Landscapes Grassland Volunteers have been across the National Park this summer monitoring grassland habitats. We currently have ten enthusiastic volunteers who kindly give their botanical expertise and diligently undertake an annual botanical survey at their ‘adopted’ site/s. This summer I’ve also been out surveying a number of grassland sites which hadn’t been surveyed previously; getting to visit some lovely spots whilst improving my botanical identification skills and collecting information. Both the volunteers and I have followed the same simple methodology for monitoring our site/s. 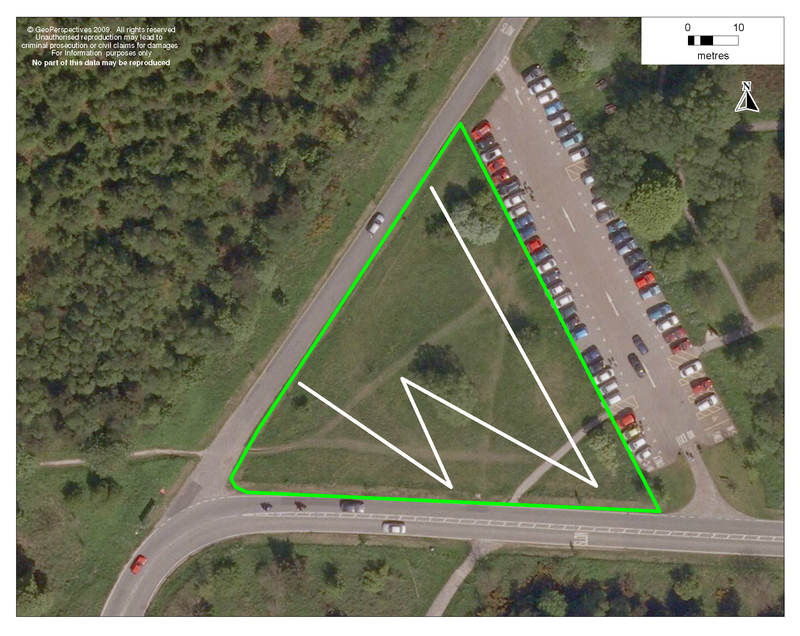 A walking route is marked out on an aerial photograph for the surveyor to follow – the approximate ‘W’ shape ensures that a fair representation of the site is surveyed. The surveyor walks along the route stopping at regular intervals – ten stops is usually adequate. At each stop a square metre (quadrat) of vegetation is assessed and each species present is noted down – this is usually where the ID books and hand lens are invaluable. 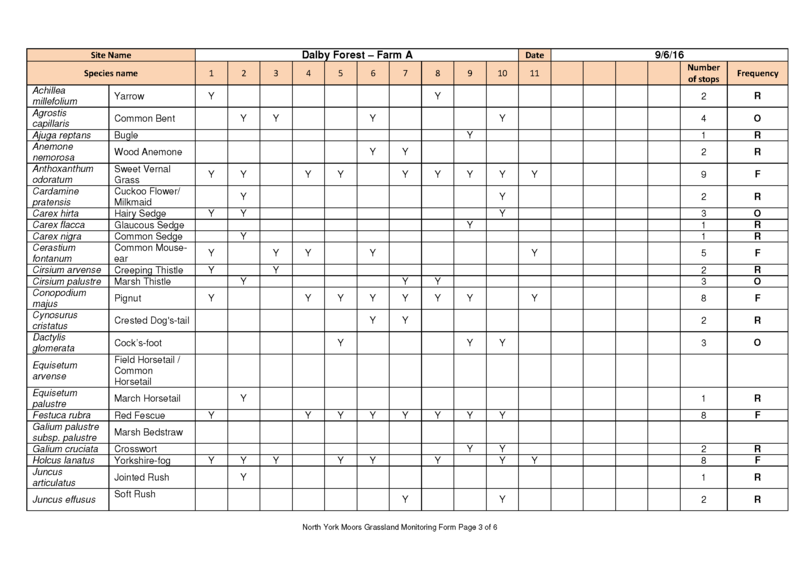 At the end of the ‘W’ shaped monitoring route, a survey sheet will look something like this. Frequent (F) species occur in five or more stops out of ten. 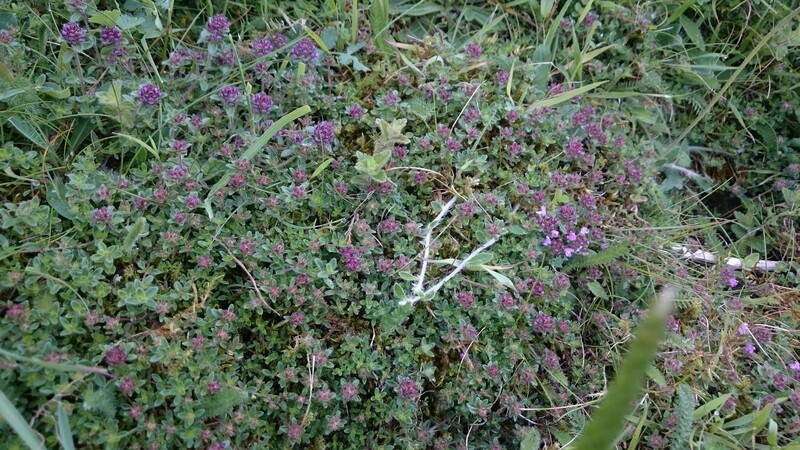 Additional information is also recorded, including the amount of bare ground and height of the sward, the amount of scrub and bracken on site, and the presence of pernicious weeds (such as thistles, nettles and docks). Lots of photos are helpful, plus any sightings of notable wildlife! The National Park is keen to see an increase in the area of species-rich grassland. 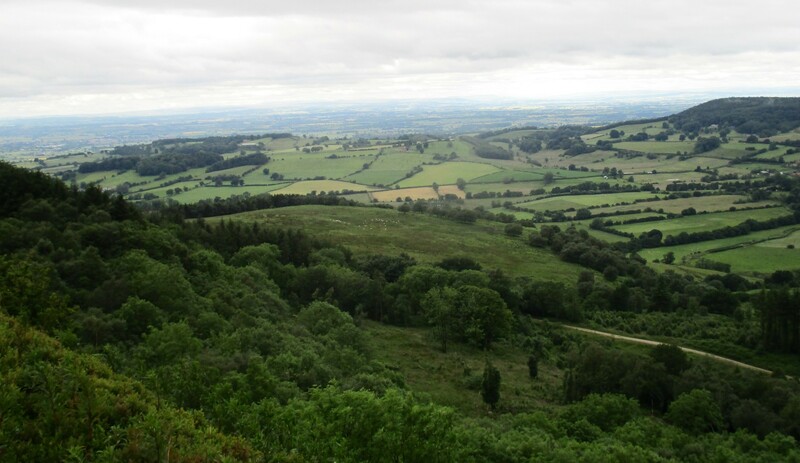 For the North York Moors that means the priority habitats lowland meadow and lowland calcareous grassland. By this regular monitoring we can get a clearer picture of the changing status of each site and use it to advise restoration methods. Altering the grazing regime, clearing bracken and scrub and/or sowing locally sourced wild flower seeds/spreading green hay can improve the quality and diversity of a grassland site with the ultimate objective of achieving and maintaining good quality species-rich grassland. We’ll be out again next summer, doing it all again. 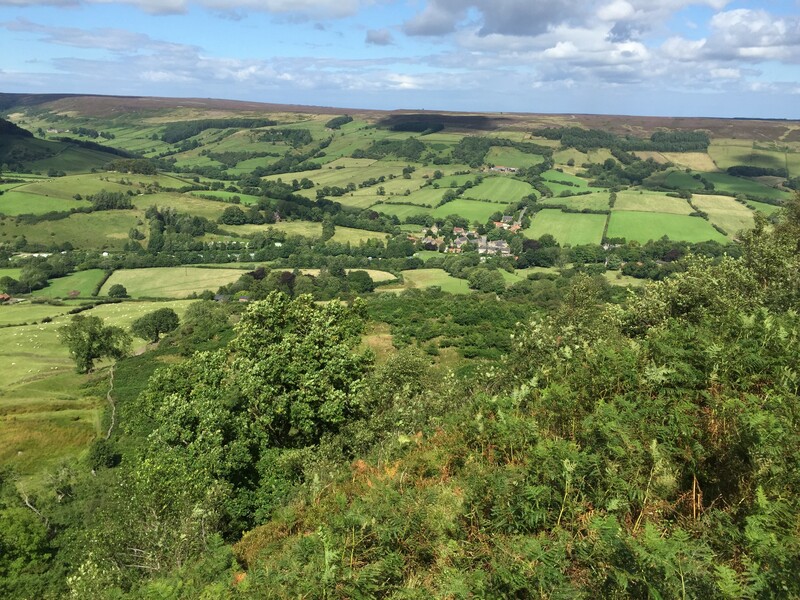 Over the last month or so I’ve been investigating habitat connectivity in a new target area – near Boltby on the western fringe of the North York Moors. This particular area has a fantastic variety of habitats, from the arable plain on top of the escarpment, down the slope through Boltby Forest and across to the pasture fields in the west. Our overarching objective for this area is to strengthen the mosaic of habitats, with special reference to improving networks for butterflies and bats. After my initial desk-based research I proceeded to ground truth the area to establish how much of our mapping and existing information was still accurate and to build up a current picture of the area. With so many public rights of way in the National Park exploring is usually pretty straightforward, but for closer examination of any particular area we would always ensure we have the land manager’s permission. It’s important to establish what levels of connectivity already exist. Above the escarpment most of the arable fields are in Environmental Stewardship agreements, which suggests positive environmental land management is already in place and making use of national agri-environment schemes is something we would always encourage where appropriate for the environment and the land manager. The Forestry Commission own a large forest within the area – Boltby Forest – and their Forest Design Plan sets out their long-term vision. This includes increasing the ratio of broadleaved trees to conifers and maintaining areas of open space. 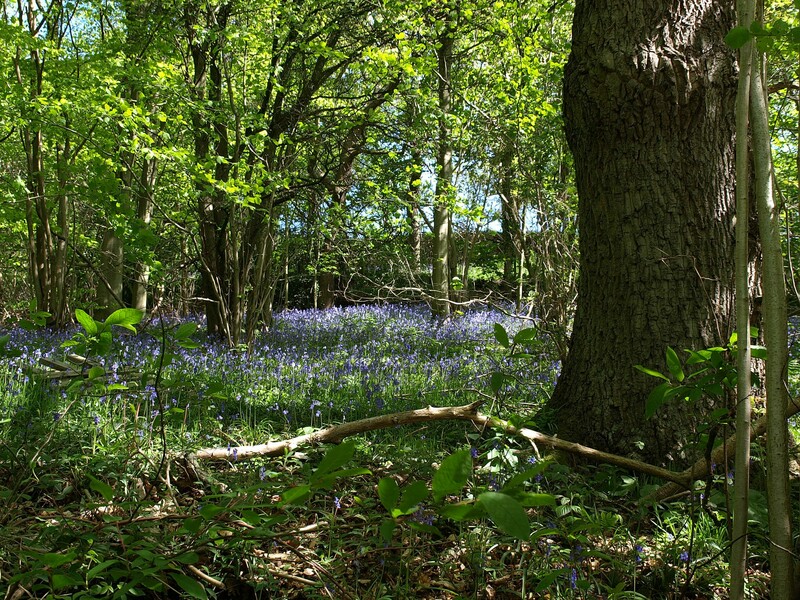 The open space is very useful in terms of meeting our original objectives for the area because open spaces in woodland create edge habitat which attracts bats. Another valuable habitat found within this area is unimproved and semi improved grassland, both acidic and calcareous in terms of soil pH because it’s where the farmland of the Vale of Mowbray meets the western edge of the moorland. Some of these grassland sites appear to be in a good condition and have an appropriate level of grazing to maintain this, whereas others seem more precarious. 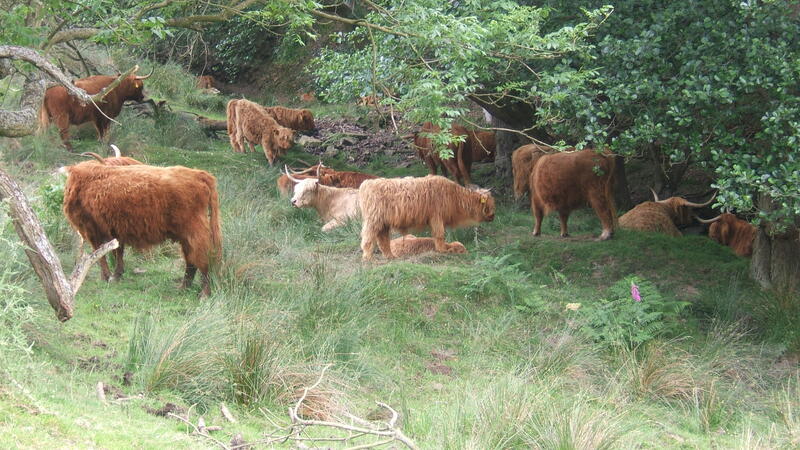 The biggest threat to most of the grassland appears to be a lack of effective grazing. On several sites rank grass are beginning to dominate, resulting in wildflowers being outcompeted. On other sites scrub encroachment means that the grassland interest will diminish. In a site where grazing is happening, there is occasional poaching (heavy ground trampling) by cattle alongside the small watercourse. 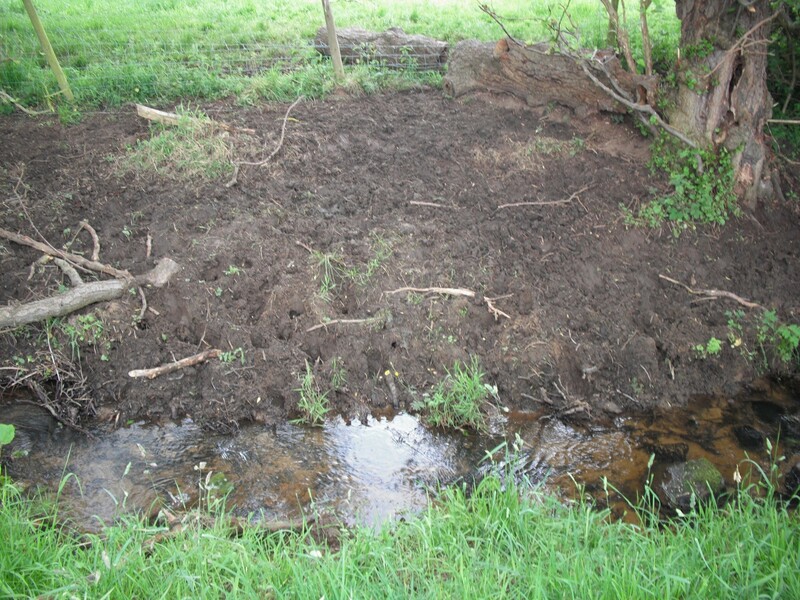 This happens when stock congregate along particular parts of the bank to drink, or cross over. Bracken is another issue in the target area. Bracken isn’t necessarily a bad thing – it can provide excellent cover for ground flora and butterflies such as the rare Pearl-bordered fritillary, but its tendency to spread means that it can very quickly outcompete and overcome other vegetation. There are plenty of positive biodiversity hot spots in this area, including patches of habitat that are excellent for butterflies. 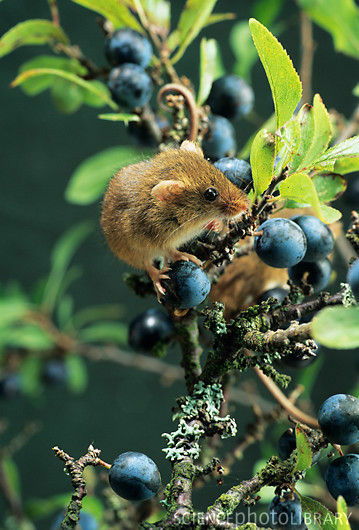 There are also a number of established hedgerows acting as wildlife corridors for bats to navigate by. So once I’d assessed the area and its connectivity potential, I discussed ideas and options for how best to deliver the original objective with input from Rona, our Ecologist, and Mark, our Woodland Officer. One of the key ideas coming out of these discussions is to provide long term replacements for the many mature in-field and boundary trees. These trees provide multiple benefits such as shelter for stock as well as a habitat for birds, invertebrates and insects. 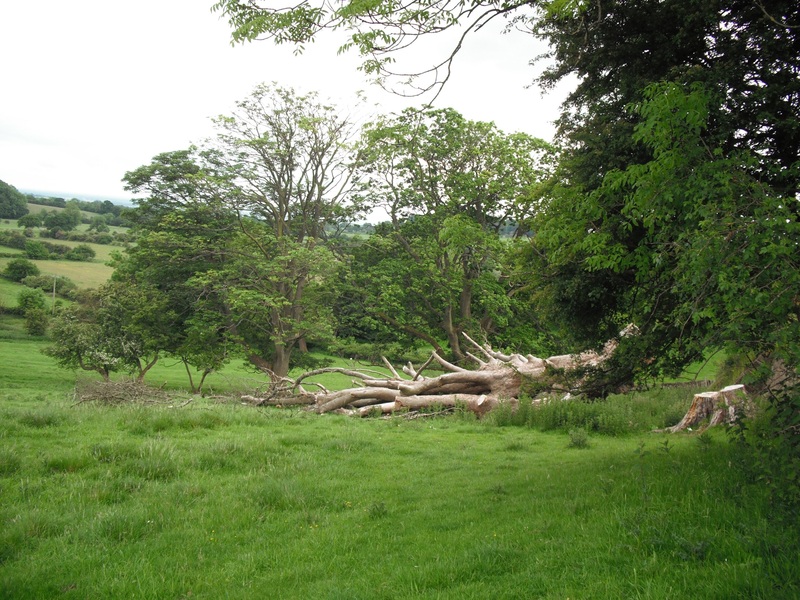 I recorded a standing veteran tree during my on-site survey and ideally we would like to see this tree fenced off as the stock in the field are causing considerable erosion around the base which may be weakening it. To reduce the poaching alongside the watercourse we could help repair the fencing and investigate the use of a field trough so the cattle wouldn’t need to drink out of the beck. 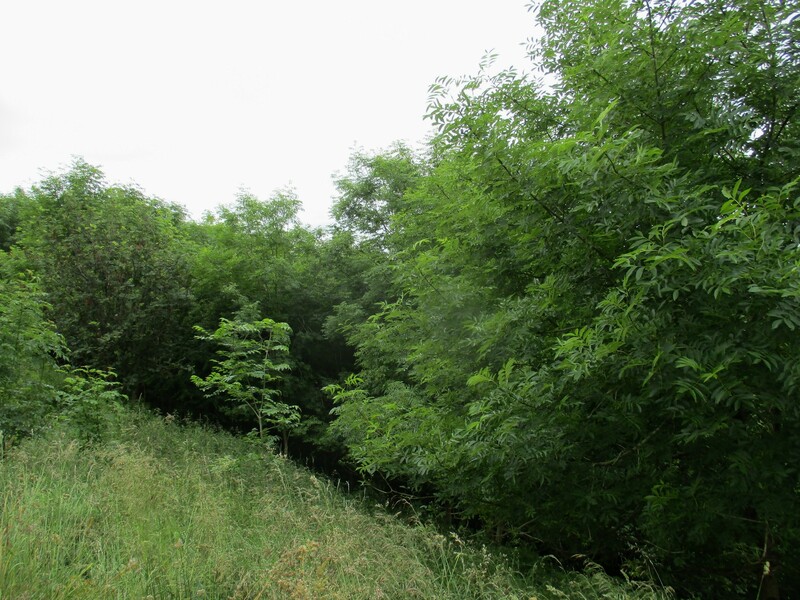 Another idea is to fence off a particular area of mature ash trees to allow natural regeneration. 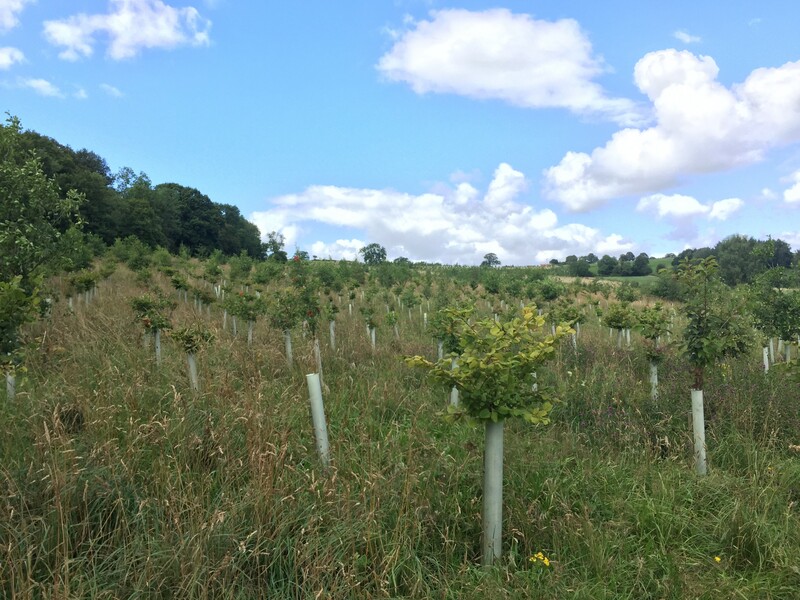 This is because some ash trees show genetic resistance to the ash dieback pathogen, so whilst planting new ash trees is currently not encouraged assisting natural regeneration by older trees might mean that potentially disease resistant stocks are bolstered. For the various grassland sites in the area, different management options are proposed. 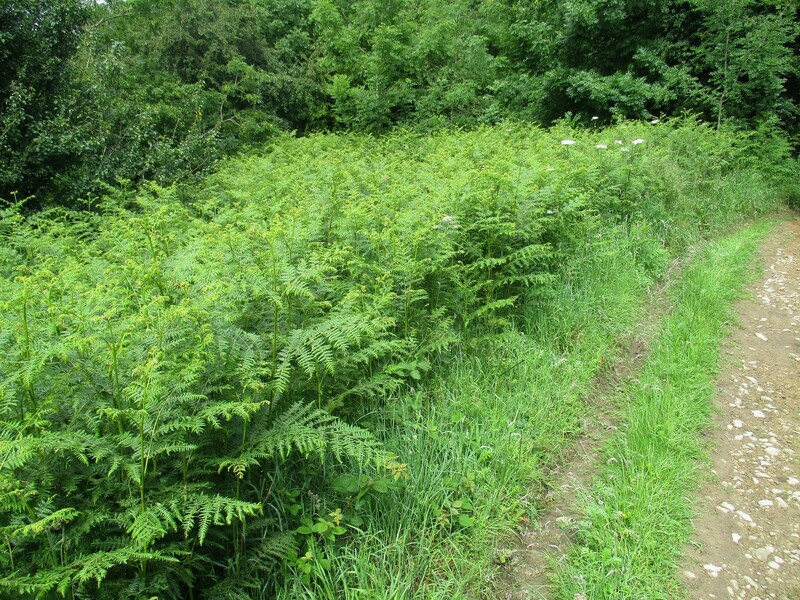 On the sites with bracken encroachment we could suggest organising volunteer tasks to help keep the bracken under control. 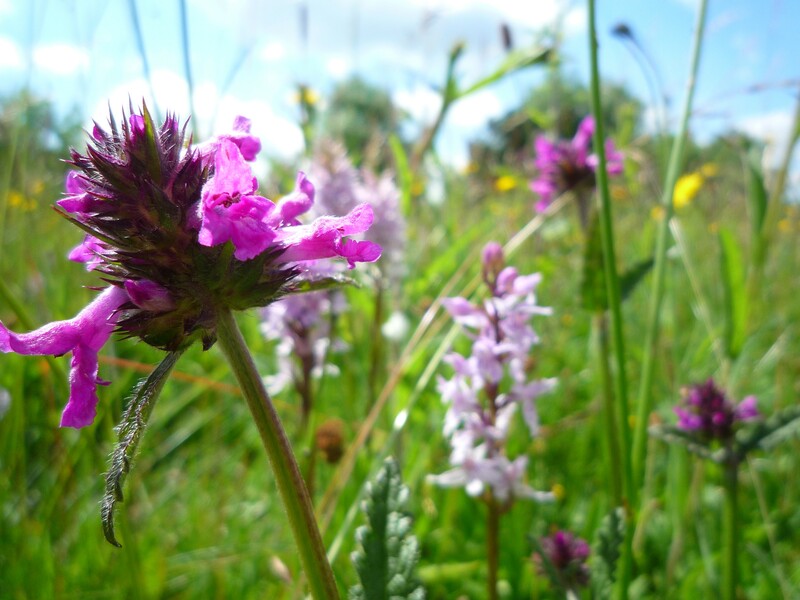 On other sites we will need to discuss with the land manager their aims for their land and see if there is scope to manage levels of grazing to ensure the wildflower interest remains and potentially expands. Land manager engagement is a crucial part of the habitat connectivity development process – our management proposals on private land can’t happen without their permission and goodwill. Negotiations are the next step in the habitat connectivity process. Overall I think this target area near Boltby is in a pretty well connected condition. 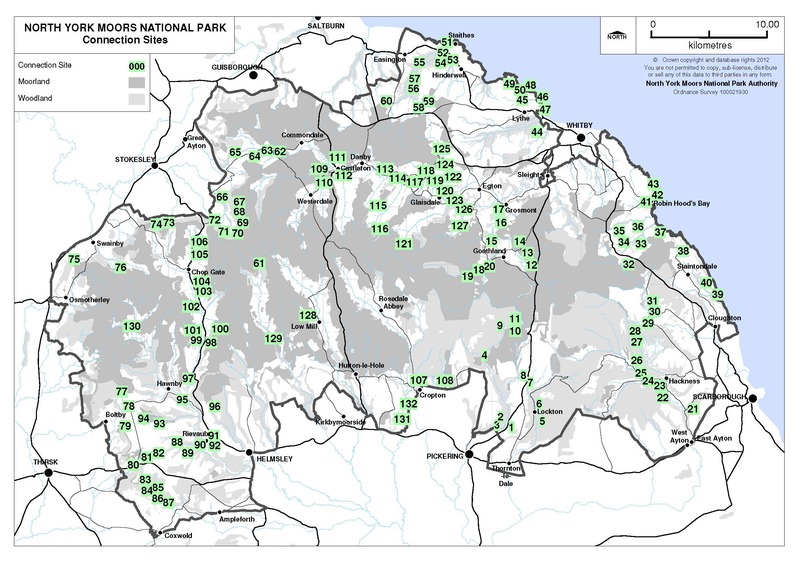 There is already a mosaic of habitats suitable for bats and butterflies, and it forms part of a much more extensive network along the western fringe of the North York Moors. Our involvement will probably be relatively minimal, working where we can with local land managers to conserve the valuable grasslands and to sustain the important tree population into the future. We’ve had excellent news from the Heritage Lottery Fund (HLF) – we’ve got the funding for This Exploited Land (TEL). This Exploited Land: the trailblazing story of ironstone and railways in the North York Moors Landscape Partnership Scheme aims to understand, protect and enhance the landscape and its legacy of ironstone exploitation. We will tell the story of ironstone mining and the associated railways in the North York Moors during the hundred years between 1830 and 1930. It is an exciting and little known story of discovery and industrialisation in a landscape which what is now designated as a National Park. For most visitors, and even for some residents, the extent of the ironstone industry in the 19th century is a surprise. The scale, the extent and the influence it came to have on the development of the North East of England as a powerhouse of the Industrial Revolution at the height of the Victorian Period is poorly understood and the story has never been properly told. TEL will conserve, protect, record and present a range of important industrial archaeological sites within a distinctive landscape. It will strengthen natural habitats within that landscape: restoring ancient woodland, managing hay meadows and enhancing riparian corridors; and assist rare and threatened species such as ring ouzels and water voles. as well as cross-cutting elements which include community grants, a volunteer programme, training and education. The breadth of the Programme hopefully provides something for everybody and is structured in such a way that over the next 5 years and beyond we hope more people can get involved and share our passion for the landscape and the stories that lie at its heart. Which of the 46 individual projects to be delivered over the next 5 years am I currently most excited about? After the very long period of project development, it is the very first one – the works to repair the landslip at Rosedale East and to unblock the railway culvert at Reeking Gill. These are essential works to (1) enable access along the Rosedale Railway to be maintained (and in subsequent years of the project allow access for conservation works) and (2) to ensure the survival of the manmade embankments along the route of the Rosedale Railway – and to retain this important feature of the landscape intact. Thanks very much to everyone involved so far who have got us to where we are today. Stay posted – this Blog is going to be an important means of sharing stories and pictures as TEL picks up steam. If you’ve driven up or down White Horse Bank near Kilburn recently you might have noticed the appearance of some new green lided boxes at the side of the road. These are grit bins which are now in place to hold the rock salt available to help in icy conditions on this 1 in 4 gradient road. It’s the most recent example of us working in partnership with North Yorkshire County Council Highways over the past few years to replace salt piles with salt bins at certain sites around the National Park. Holding the salt in bins limits leaching where rain washes salt into watercourses and limits ground salination, in both cases the chemistry of the water and the soil is altered by the accidental addition of salt. 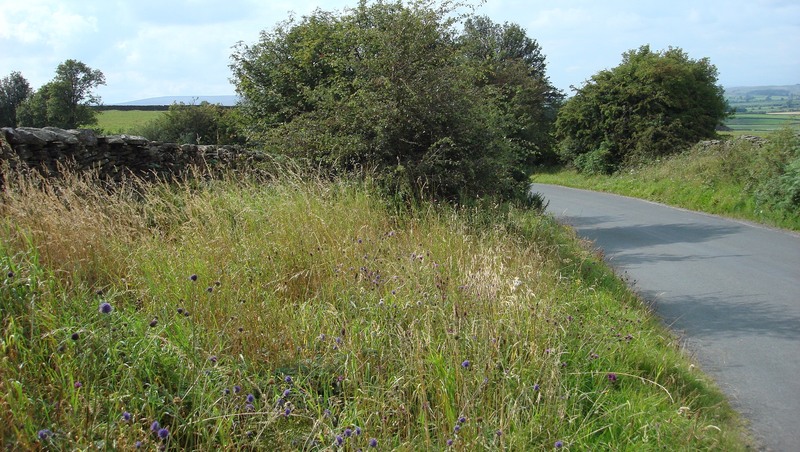 The National Park Authority is involved because we’re particularly interested in the conservation of the small number of remaining species rich roadside verges, and the potential restoration of degraded species rich roadside verges, around the North York Moors. By holding onto and better controlling the salt source the idea is that the plant life of roadside verges will be less damaged. The bins were paid for by the National Park Authority and NYCC Highways will refill them when empty. 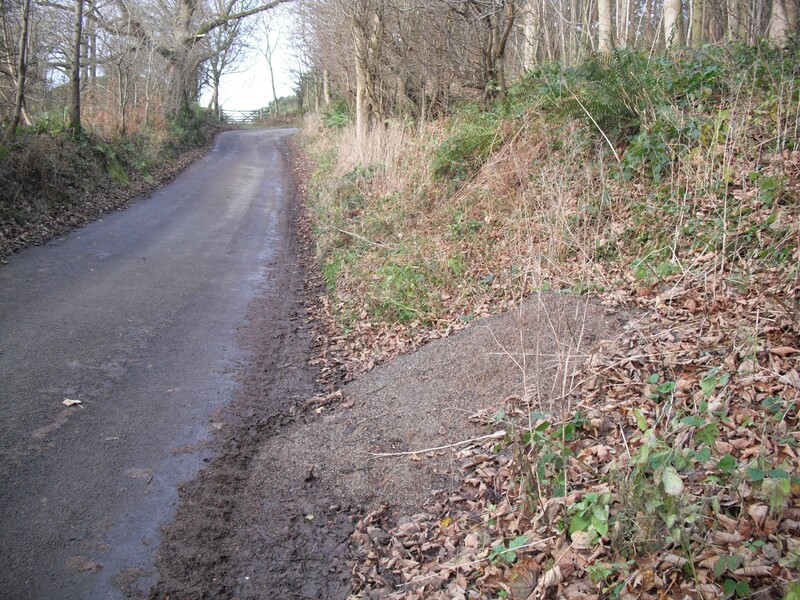 Salt is far from the only threat to our roadside verge habitats. Other dangers include over management, badly timed management and the lack of management; as well as through the encroachment of vehicles on one side and the affects of land management on the other. 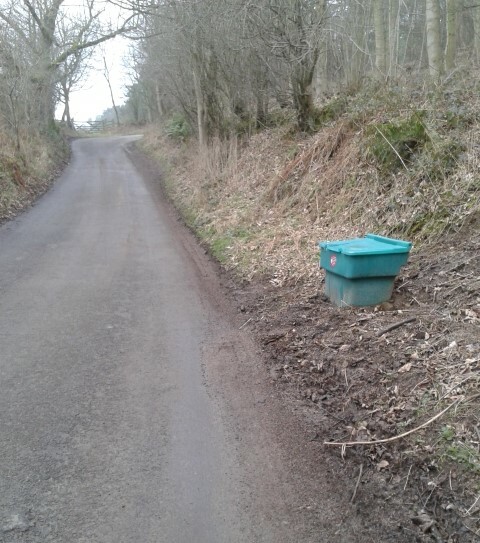 The replacing of sprawling salt heaps with the green bins is a cost effective and useful small scale initiative – which still helps keep roads passable in the winter but also means through the rest of the year the remnant grassland habitats found on verges have an improved chance of continuance. Botanically rich roadside verges are ecologically valuable in their own right but also provide useful connecting corridors between habitats for species such as pollinators. They also provide an accessible glimpse for many people of the colour and beauty of our wildflowers. With spring just around the corner we’ll be looking out for a plethora of wildflowers growing on our species rich verges this year – on White Horse Bank the plants along this woodland edge roadside verge include Dog Violet, Primrose, Foxglove, Stitchwort, Wood Avens, Wood Sorrel and Wild Arum. A number of our identified species rich verges are monitored by local volunteers who, working safely, record the presence or lack of it of key species, and keep an eye on the verge management. This monitoring is important so that change can be identified and then addressed if appropriate. If you’d like to help please contact us. Species rich grasslands are one of the key habitats that we’re working to conserve and enhance across the North York Moors. Grasslands that are high in biodiversity interest are one of this area’s rarest habitats. A lot of these sites are now isolated, so once a site can be brought up to a good condition we’re looking for opportunities to buffer and expand the site and how best to link it up to other grassland sites in order to enable a re-propagating more sustainable future. Grasslands have been compared with tropical rainforest in terms of the numbers of species and the importance of habitat to biodiversity. But over 90% of the traditional hay meadows (one type of species rich grassland) in the UK have gone under the plough or been ‘improved’ with inputs since the 1940s. Their importance to wildlife such as pollinators which mean the habitat is an ecosystem in itself is now being grasped and our initiative is only one among many being progressed across the UK. 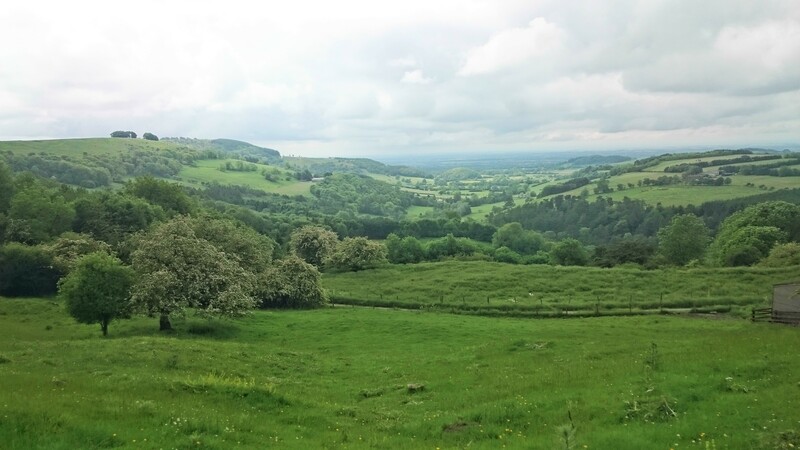 As part of our ongoing habitat connectivity programme, National Park staff and volunteers are currently concentrating efforts in the south west corner of the North York Moors which has a particularly rich reserve of fragmented species rich grasslands peppering the area. Ensuring these sites are well managed, properly resourced and cared for into the future is a major part of our work in the Land Management Team. 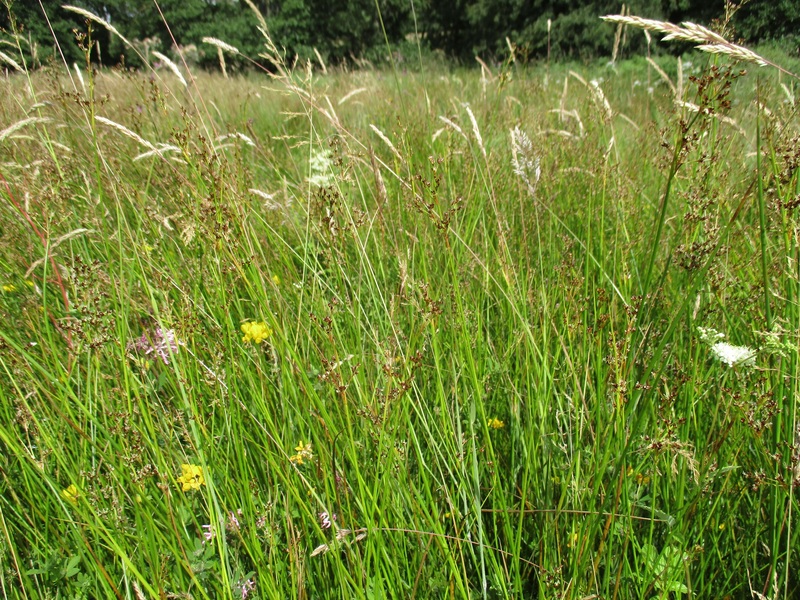 Contact was initially made with landowners in the area and then followed up with an assessment of each grassland and proposals suggested to enhance the condition of the particular meadow or rough grassland habitat sites. One of the recurring issues arising from a lack of management is encroachment by scrub and bracken which can be detrimental. This is an example of a site near Oldstead which recently required a task force and so National Park Volunteers were called in, organised and supervised by the National Park’s Volunteer Services Team. The task was taking out some of the birch scrub that was taking over and out competing the wet grassland/heathland habitat on the site. Rather than suddenly removing the scrub, the birch stems were cut and piled into concentrated habitat heaps to provide some shelter for wildlife over the winter before slowly rotting away. During that time the long lengths of timber providing wet, damp conditions just under the bark of the cut trees is ideal for invertebrates, so provides a food source for other wildlife inhabitants of the wet grassland/heathland site. Although this type of volunteering can look and sound like hard work, it can also be great fun to take part. At the end of the day you can see the results of your labour and you know it’s good for your natural environment as well as being good for you – you’ve had plenty of fresh air and it can actually improve your health!